501 Squadron – Ralph Stidson Don of Ferndown, Dorset was born in March 1917 and joined the RAFVR about June 1938 as an Airman u/t Pilot. Called up on 1st September 1939, he completed his training, was commissioned and went to 6 OTU Sutton Bridge on 25th May 1940. 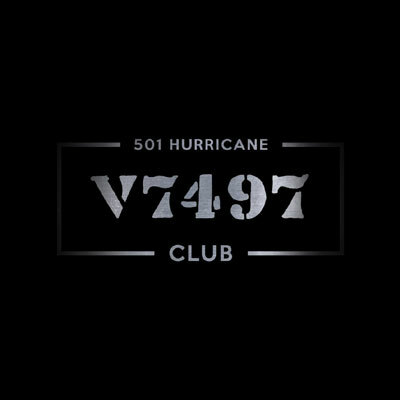 After converting to Hurricanes Don was sent to Hendon on 6th June for onward posting to France and he joined 501 Squadron there. 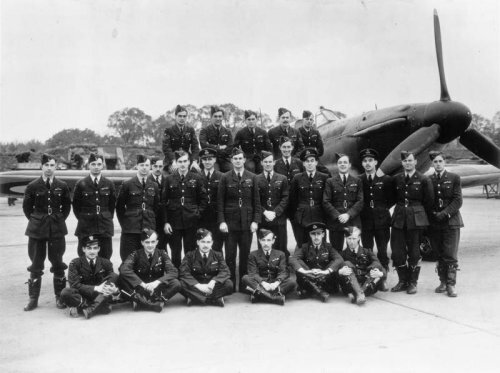 In mid-June 501 Squadron prepared to evacuate France. Don was flown to Caen, then to Dinard and two days later to Jersey from where he sailed in a coal boat with P/O EG Parkin to Weymouth, arriving there on the 17th. 501 re-assembled at Croydon on 21st June. On 31st July the squadron was using Hawkinge as a forward operating base. Don was returning from there to Gravesend in the evening when the engine of his Hurricane caught fire and he baled out. He was seriously injured and admitted to Canterbury Hospital. The aircraft, P3646, crashed and burned out on Lydden Marsh. He returned to operations on 10th October. From 26th November to 24th December 1940 Don was at CFS Upavon on an instructor’s course on Masters and Tutors. He did not return to operations until October 1944, when he was given command of 142 Squadron on its reformation with Mosquito PR16s for photographic-reconnaissance duties. Don was reported ‘Missing’ on 22nd January 1945. Mosquito XXV KB463 4H-W was lost without a trace on a raid to Kassel. F/O GI Allan was also lost. 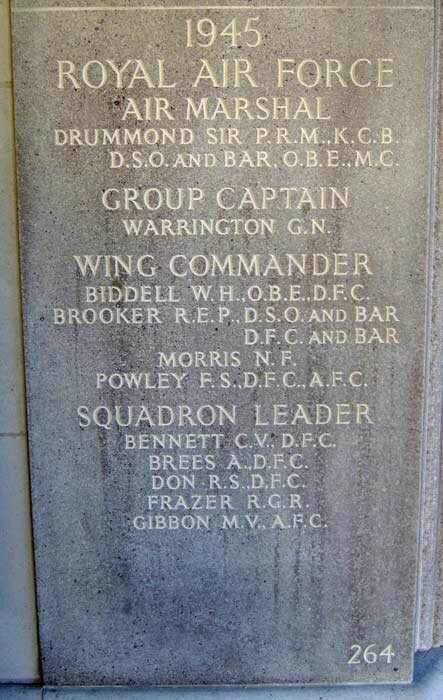 Don was 25 and is remembered on the Runnymede Memorial, panel 264. He was awarded the DFC (gazetted 11th December 1945) for his work with 142 Squadron.